IN RECENT DAYS Gardaí in Dublin’s north inner city have arrested and charged dozens of individuals involved in drug dealing in the area, with 16 arrests made this morning alone. According to an announcement made this morning, a six-month covert operation, code-named “Tempest”, has culminated in the arrest of 30 people suspected of involvement in the sale and supply of heroin, cocaine and other drugs. In total, nearly 100 charges have been brought in the last few days, as a result of this operation. Speaking to TheJournal.ie this afternoon, Chief Superintendent Patrick Leahy said small amounts of heroin, cocaine and cannabis, as well as cash, were seized between 11 August and today. In a raid on one location this morning, a kilo of cannabis herb was discovered. Gardaí from the Bridewell, Mountjoy and Store Street Garda stations worked with divisions including the Garda National Drugs Unit over the last number of months to gather intelligence and evidence leading up to the arrests. Operation Tempest is the latest initiative by the Garda Síochána in their commitment to the National Drugs Strategy. Earlier this year, a project code-named Operation Spire saw uniformed and plainclothes Gardaí patrol O’Connell Street, and led to hundreds of searches of individuals, as well as the seizure of small amounts of illicit substances over a four-day period. 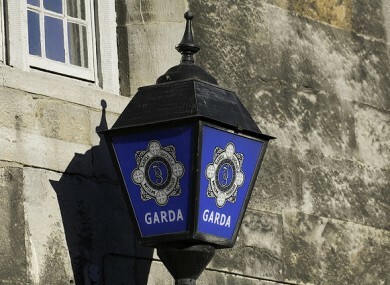 Email “Gardaí in Dublin arrest dozens on drug charges after six-month operation”. Feedback on “Gardaí in Dublin arrest dozens on drug charges after six-month operation”.